On last Sunday’s AFTN Soccer Show, Michael asked me to share a little bit about what supporting TSS Rovers has meant to me. I feel like I didn’t do a great job of answering the question, so I thought I’d provide a bit more here about that. I put a high value on the act of supporting others. In my life, in many places and in many ways, I find myself supporting other people’s visions, ideas, and efforts. I love helping people find their gifts, and giving them a chance to bring those into the world. I like supporting people that are making my world a better place. I deeply admire people who devote themselves completely to their work or art or sport, especially if they do so out of the public eye, labouring away in the dark corners where many days their only motivation is their own. Perhaps it comes from having a sister who was an elite hockey player in the 1980s, who dedicated her entire youth to her dream of playing at the highest level. She even broke some barriers, become the first girl to play on boys teams in Toronto high school hockey and in the Ontario Hockey League’s Junior C division. I saw her dedication and devotion to her craft mostly go unrecognized by all but a few close family and friends, and her coaches who encouraged her in her career. 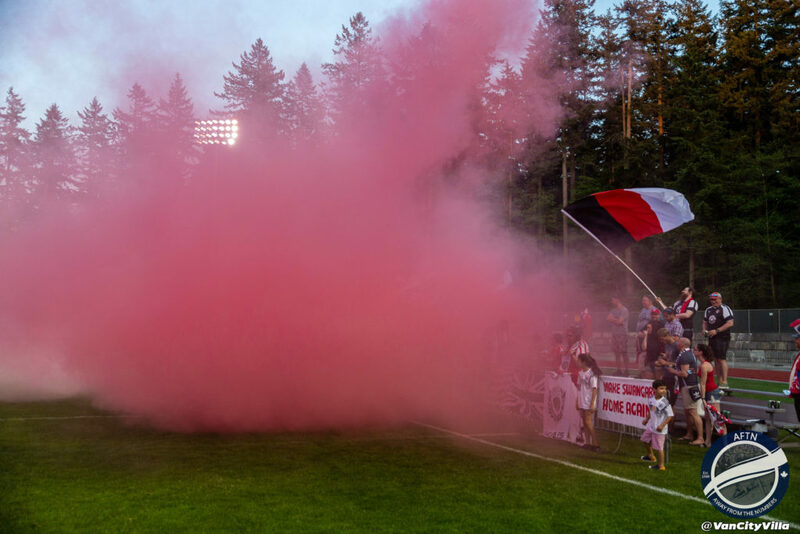 At its heart, supporter culture is about that for me. It is first and foremost about recognizing and honouring the players that literally have put their bodies on the line to entertain us, or more importantly represent our cities or our country on the world stage. 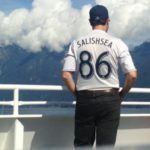 Being a Whitecaps supporter has been like that, but at the same time I have always had an interest in the connection between local soccer clubs and our national program. I‘m lucky in that I have a couple of friends who are deeply involved in the national men’s team set up, so I get stories from the inside about what it’s like for these players, and what it takes to generate the talent we need to create a national team whose performances make us proud. Like many others, I’ve volunteered my time at our local club as an assistant coach, and worked with our local youth to help them be good people in general and good soccer players in particular. As I’m completely unqualified to coach, most of the time this has come down to support: being the wind in their sails, encouraging them, listening to them when they struggle, and celebrating their achievements. When Willie and Colin started TSS Rovers as a tangible way to help develop the future of Canadian soccer and give a new pathway to young Canadian players by choosing only to field a team of Canadian citizens and permanent residents, it was a no brainer for me to lend my support. The only soccer related talent I have is an ability to sing and compose chants, so that is where I gravitated towards initially, to help create a supporter group that made visible, tangible and memorable support for our players. If some of our players never go further in their careers, I hope they will at least remember the times when their names were once chanted at Swangard and Newton Athletic Park. The way Rovers is set up invites traditional club support, the kind you find in clubs all around the world who operate outside of the franchise system. Will Cromack and Colin Elmes understand that without active supporters at all levels this entire enterprise is doomed. It cannot be done alone. We need sponsors, volunteers, coaches, season’s ticket buyers, media coverage, and supporters. There isn’t a single person whose hands can’t help make a difference to what we’re doing. There isn’t a single person at the club who has a full time paid job with the Rovers set up. I’d be willing to bet that there isn’t a single line item in the budget for wages. There might not even be a written budget. 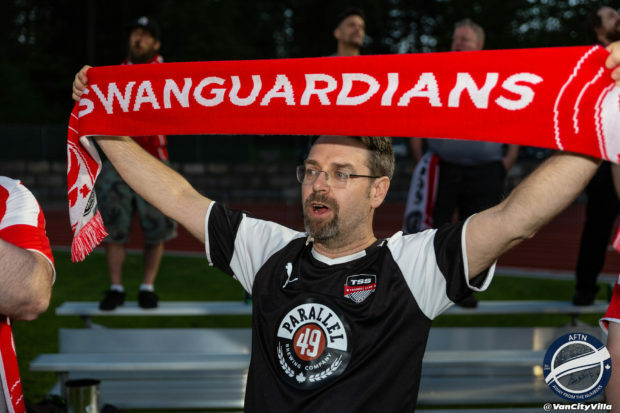 To that end, The Swanguardians are not merely a cheerleading squad for a couple of aloof franchise owners running a team in an obscure fourth division American league. We are literally partners in the team. A few of us were invited onto the Advisory Board this offseason and we’ve been able to offer ideas on support, both from the southside stand and in the wider culture. Our visuals – smoke and banners – are recognized across North America now, and we’ve been using them to demonstrate the fiercer edge of what support looks like. This makes visible the passion we feel for improving Canadian soccer. It’s worth a visit to Swangard to see these teams play, and it’s worth giving what you can to make things work. We will use any level of volunteer or financial contribution to keep things going. A $70 season ticket purchase can get you a tax receipt if you donate it through Rovers for needy kids and families to come and attend a game. 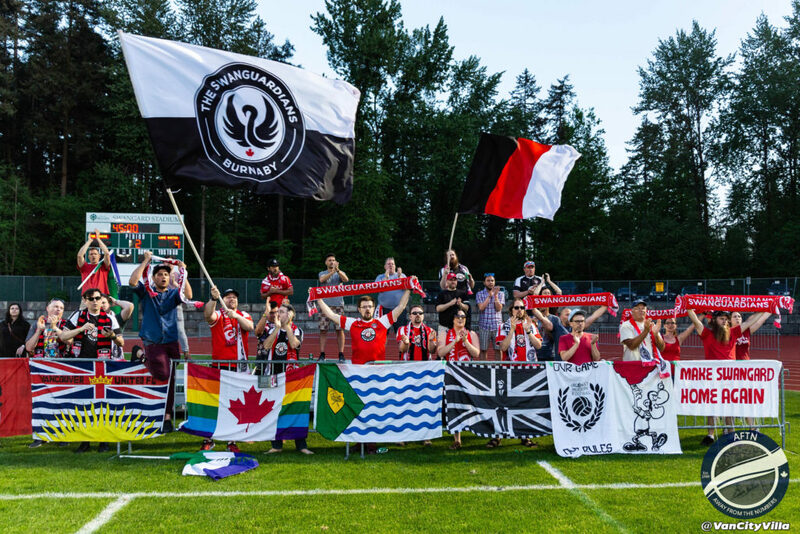 And as we learn and develop what it means to run a local soccer club for Canada, we continue to harvest lessons for the budding Canadian Premier League teams and supporters groups. Call us up, talk our ears off, learn what has worked and what hasn’t from a group of people that has been doing it for two years now. Everything we do is for Canada, all together, for one purpose.